A friend of mine has a granddaughter who is getting a small toy kitchen set for Christmas. She wanted an apron to give her too. 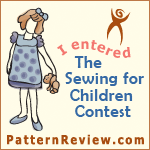 We searched and searched for just the right pattern or tute. We found some really cute ones, but we didn't get "this is the one" feeling with any of them. But this one came very close. There was one problem; it was an adult size. I also found this one. It is a child's apron and super cute, but it wasn't quite what we were looking for. But I knew I could at least use the pattern. I downloaded the pattern, taped it together, then cut it apart. What?? I really just needed the top part. So I cut it apart about one inch below where the arm curve is. I used the lower part as a guide for my ruffles. The ruffles are all 2" wide by WOF. I used my serger and did a rolled hem on all 4 sides. I used my ruffler foot to make all the gathers. I used the lower part of the pattern and cut out a big rectangle from the black fabric as my base. I started at the bottom and stitched on the ruffles to the base layer. I put 2 layers of tulle first (it is actually about 3" x WOF), then measure up 1" from the top if the tulle and stitched on my next layer. I repeated this process all the way to the top. I had about 1/2" at the top left over. For the tulle layer, I just cut 2 pieces the same size and gathered them with 2 basting stitches. I wasn't sure how my ruffler would handle it so I didn't use it for this part. For the sash, I cut 2 pieces 5" x WOF. I cut one in half and stitched each half to either side of the longer piece giving me one long piece. I then folded it in half lengthwise and stitched around 3 sides leaving a very big opening right in the center of the long side - large enough to accommodate the bodice. This would be my opening for attaching the bodice piece. I turned it right side out and pressed really well. Next, I laid the sash piece fold side down on top of the skirt covering the stitching on the last ruffled piece. I top stitched it in place. I serged the raw edge of the skirt piece, since it would be visible from the back. You could always cut 2 pieces for the sash and leave an opening at the bottom too and slide the skirt inside the opening. For the bodice piece, I cut 2 pieces. I laid them wrong sides together on my work surface and used binding to cover the raw edges. I used the red fabric for bias. I stitched the top piece first. Then I stitched the side pieces using one long bias piece leaving enough length at the top to make an opening for the neck. In other words, start stitching at the bottom of each side. After that part was complete, I just slid the bodice inside the opening of the sash about 1/2". Then topstitched it in place. At this point I also topstitched all the way around the sash. I had enough of the green fabric left to make a small pot holder. It's just pinned to the top. And that's my apron. I think it turned out really well, and I would definitely like to make another one of these. I didn't do a tute on this because I thought it would be simple enough to explain. If not, please feel free to email or post questions below.